An urbane city noted for its elegance and high-culture, Aix has been settled by some of France’s preeminent minds and artists. Most notable of all is Paul Cézanne who immortalised the limestone peak of the Montagne Sainte-Victoire, which rises to the east of the city. Provence is famously scorching in summer, but the streets of Aix are kept cool by the shade of its handsome honey-coloured buildings and plane trees, as well as the spray from the many fountains. See the baroque and rococo 17th and 18th-century “hôtels” in the Quartier Mazarin, and stroll along Cours Mirabeau, the boulevard where Camus and Hemingway would have come for lunch when they lived in the city. Arriving at this monument on Rue Gaston de Saporta you’ll see right away how Aix Cathedral blends different styles and eras. To the left is the gothic portal with beautiful sculpture and the Virgin with Child in the centre. But next door to this is the romanesque entrance from the 1100s, which joins onto a much older Roman wall, believed to have belonged to a temple to Apollo. The thing you have to see inside above all else is the 15th-century Burning Bush triptych painted by Avignon artist Nicolas Froment. The middle panel portrays the Virgin and Child, with Moses in the foreground, and on the sides are René of Anjou and Queen Jeanne who commissioned the work. Don’t resist the urge to see every nook and cranny of Aix’ old centre, north of Cours Mirabeau, for its gorgeous architecture, charming markets, unexpected historical flourishes and the constant feeling that you’re walking in the shoes of great artists and writers. It’s a heady concoction, so you could use the city’s famous fountains as the basis for your tour. Many of these are Roman springs and have been hydrating Aix for thousands of years, even if their design has changed. There are cafes, boutiques, classic French amenities and galleries, and, in the Mediterranean style, there’s still a sense of bustle after midnight in summer. Go to Rue Jacques de la Roque to see the old ramparts, take a coffee in Place de l’Hôtel de ville to study the Old Belfry, and its ancient Roman stonework at the base. The fitting finale for your wander around the oldest part of Aix is Cours Mirabeau, below which are newer but no less wonderful streets of Mazarin. This avenue has a wide walkway shaded by rows of lush plane trees, and is replete with mansions and restaurants that were the haunts of French cultural icons like Camus, Cézanne and Zola. You can bask in their lingering glow at dinner or simply just come for a simple croissant and coffee in the morning as Aix stirs to life. On the western limit is La Rotonde, possibly the most beautiful of Aix’ fountains, while the strangest, La Fontaine d’Eau Chaude is fed by a host spring, is covered with moss and creates a delicate mist on cold winter days. Surrounded by olive groves and fig orchards on the Lauves Hill is Paul Cézanne’s studio where he worked for the last four years of his life. It’s about 15 minutes on foot from the centre, and he would make a daily commute from his home on Rue Boulegon out to this studio, which had been purpose-built according to the artist’s own designs. The place hasn’t been touched since he passed away 110 years ago, so for lovers of his work it’s a setting where you’ll almost be able to feel his presence. His smock is hanging up, still stained with paint, and there are objects that appear in his work all around this single room. The Cézanne theme continues at this renowned limestone ridge 20 kilometres east of Aix, and visible from his studio. It was an inspiration for Cézanne who painted it many times, from different angles and in different lights. The mountain peaks at over 1,000 metres and is scattered with little religious sites that you’ll meet unexpectedly, like the Priory of Sainte-Victoire or the Saint-Ser Hermitage, which is sculpted from a cave. If you want to go to the top where a cross has been mounted, start at Barrage du Bimont and the round trip will take about two hours. In mid-summer you might be just as happy to stay by the Lac de Bimont and savour the sight of the mountain without conquering it! In the old priory buildings of the Église Saint-Jean-de-Malte, the Musée Granet has a collection of almost 12,000 paintings, sculptures and historic artefacts. And, you guessed it, one of the must-sees is the room dedicated to Cézanne, with nine oil paintings by the post-impressionist. In recent years the museum has received a big donation from the Planque Foundation, created by the heirs of Jean Planque, a prolific Swiss art collector. This has endowed Musée Granet with works by Picasso and Kandinsky to go with an already distinguished assembly of baroque paintings from the 17th-century French school, and the likes of Rembrandt, Rubens and Jacob Jordaens. When Michele Mazzarino was made Archbishop of Aix in 1645 he had some big plans for the city, and over the next few years ordered a whole new district below the Cours Mirabeau. This was where the gentry and wealthy merchants would make their homes, in marvellous Hôtels. Many of these are on the southern side of Cours Mirabeau overlooking the walkway, so this is a good place to start your walking tour, and there are many more to be found on Rue Mazarine, Rue Goyrand, Rue Carinale, Rue Roux-Alphéran, Rue du Quatre-Septembre and Rue d’Italie. Stop at Place des Quatre-Dauphins for a photo of the fountain with four sculpted dolphins and dating 1667. Most agree that it’s the loveliest fountain in the city, which is saying a lot for Aix. On Rue Joseph-Cabassol is one of the few hôtels open to the public and among the most magnificent. It’s a French “monument historique” and was built between 1745 and 1742 for the Marquess of Cabanes. The interior has been conserved in all its 18th-century finery, with rococo gilded plasterwork and furniture. One of the many fine rooms is the Salon de Musique, with a Louis XV-style harpsichord from the mid-1700s, a painted harp and armchairs with floral motifs. The mansion puts on high-profile temporary art exhibitions: Canaletto in 2015, and then Turner in 2016. Built in five short years between 1272 and 1277 this church was the first gothic building to be built in Provence. It was built outside of the city on the road to Italy, and its appearance was inspired by the hospital of St.
John in Jerusalem, constructed during the crusades. So that explains why there’s a military feel about this building, with loopholes either side of the portal and few large openings in the facade apart from the stunning rose window. The highlight inside is the collection of art, with pieces by feted artists such as Louis Finson and Michel Serre. You’ll have no doubt that you’re in Provence when you catch the scent of lavender while pottering around an open-air market in Aix. They should be your first destination for fresh produce and Provençal delights. There are food markets on Place des Prêcheurs and Place de la Madeleine on Tuesdays, Thursdays and Saturday, and one every day on Place Richelme. Don’t shop anywhere else if you’re staying at self-catered apartment! There’s also a flower market on alternating days on Place de la Mairie and Place des Prêcheurs, while on Tuesdays and Thursdays there are stalls selling clothing and fabrics on Cours Mirabeau. Aix-en-Provence is in the second-largest wine-appellation in Provence, growing Mourvèdre, Grenache and Cinsaut grapes, and mostly producing reds but with a third of output taken up by rosés, which are fabulous in the summer. The array of vineyards an caves around Coteaux d’Aix-en-Provence AOC is such that many people leave the decision-making in the hands of professional tour companies. If you want a full-on experience you can go on an all-day tour. But if you’re pressed for time Château la Coste is moments north of the city and puts on tours educating you about the grapes used in each bottle of wine and every step of how they’re fermented and aged. The Château also has modern sculpture park with works by Tracey Emin and Andy Goldsworthy, to name two. Southwest of the city is a memorial that might bring you back to earth after all the culture and beauty of Aix. Camp des Milles is France’s only Second World War internment and deportation camp that to be preserved and open to visitors. Between 1939 and an 1942 it processed thousands of prisoners from countries all over Europe, but especially German and Austrians who had fled to the South of France after the Nazis had seized power. Numerous important artists and writers were interned here, like Max Ernst and the Nobel Prize laureate Otto Fritz Meyerhof. There are video installations at the camp, and maybe it’s a place where you can take a moment to reflect before moving on to more indulgent pleasures. Calissons make a cracking gift to take home from Aix; these summery sweets are made from candied fruit and almond paste, and then covered with a layer of icing. They also usually come in cute, vintage-style packaging. 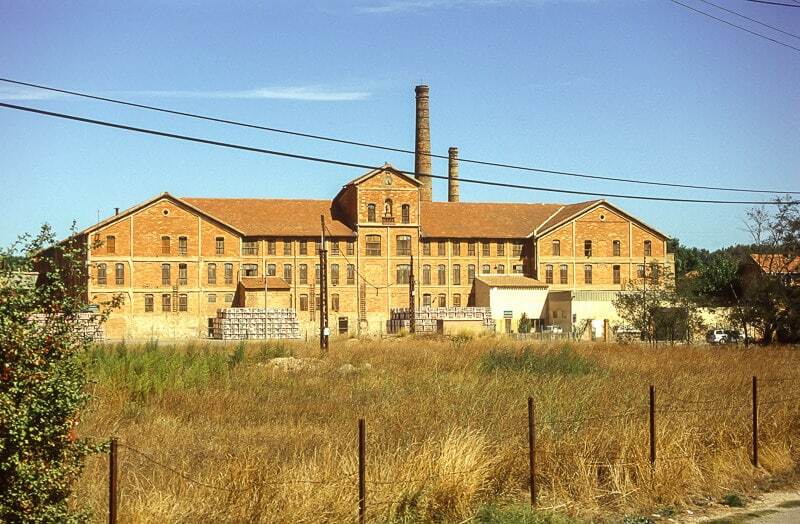 Anyway, if you’d like to know how this favourite Aix delicacy is made you can visit the sleek and sustainable new factory at the Confiserie du Roy René, which is set within two hectares of almond groves. On a tour you can walk on a mezzanine level above the factory floor and get to know the history, method and ingredients with interactive exhibits and displays of antique machinery. It’s only right that Aix should hold one of France’s most celebrated cultural festivals, inviting the most famous opera performers from around the world. Lasting throughout July, the festival has three main venues: The rococo Théâtre du Jeu de Paume, dating to the middle of the 18th century, the modern Grand Théâtre de Provence and the Théâtre de l’Archevêché in an unbeatable outdoor space in the courtyard of the Archbishop’s Palace. It’s been going since 1948 and is known for its broad repertoire, staging modern operas by Benjamin Britten and Prokofiev as well as the classics by Handel, Wagner, Mozart and Verdi, a revaluating forgotten baroque operas. 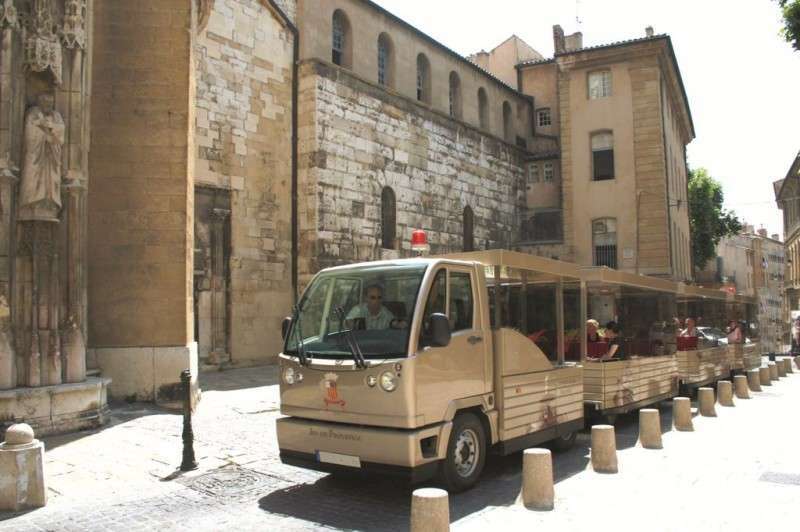 If time is of the essence or you have children that aren’t up to walking around Aix’ streets for hours the Mini Tram will give you a convenient summary of all the major sights. It’s a stylish 57-seater road train, with a couple of cool high-tech touches, including multi-lingual commentary via a headset. Another neat touch is the roof, which is transparent so you won’t have to crane your neck to see the loftier buildings. So you’ll pick up tidbits about the city’s history that might otherwise have passed you by. Tours take 45 minutes and depart from Brasserie Le Festival on Cours Mirabeau.